Dorothy is caught up in a cyclone in Kansas and magically appears in the land of the Munchkins. She immediately misses Aunt Em and Uncle Henry, and longs to return home. But the Good Witch of the North informs Dorothy that her Kansas farmhouse killed the Wicked Witch of the East. Dorothy puts on the Wicked Witch’s silver shoes, and the Munchkins celebrate their freedom by throwing the girl a party. However, the Good Witch of the North cannot help Dorothy return to Kansas. Upon hearing about the Wizard of Oz and his alleged power, Dorothy decides to follow the road of yellow bricks to the palace of the great wizard. He will certainly know the way to Kansas, she reasons. Along the way, she meets a Scarecrow, a Tin Woodman, and a Lion who each have requests of their own. The Scarecrow wants a brain, the Tin Woodman misses having a heart, and the Cowardly Lion desires courage. Dorothy, her dog Toto, and her three friends encounter obstacles and strange creatures along the way to the Wonderful Wizard of Oz. I am just going to cut to the quick and say that I didn’t like The Wonderful Wizard of Oz. It seemed like one heck of an acid trip. I enjoyed the film adaptation as a child, but the book is quite different from the movie. Even so, I have never been able to accept the way the Wicked Witch of the West is killed. L. Frank Baum uses magic/deus ex machina in the story to save his characters from dangerous situations. That is a huge no-no in good fantasy. Dorothy kills both the witches unintentionally. She would never have known that water could melt the Wicked Witch of the West, and neither do we know of this weakness until after Dorothy pours the water. Why a bucket of water and not a baseball bat? We do not know anything about the world and hardly know anything about most of the characters. Clearly the Scarecrow, the Tin Woodman, and the Cowardly Lion are smart, loving, and courageous, but they never believe that that they are naturally all these things. They are like a young actress who thinks that a face lift or Botox will make her more beautiful. It is only after the surgery that she believes that she is beautiful. I wish the characters had learned the truth about themselves instead of accepting the Wizard of Oz’s lies. Honestly, the story was too strange for me to accept. I value children’s literature, and I understand that many children enjoy this story, but I personally felt that there were too many plot holes, paradoxes, and outrageous characters. I never figured out the point of the story. 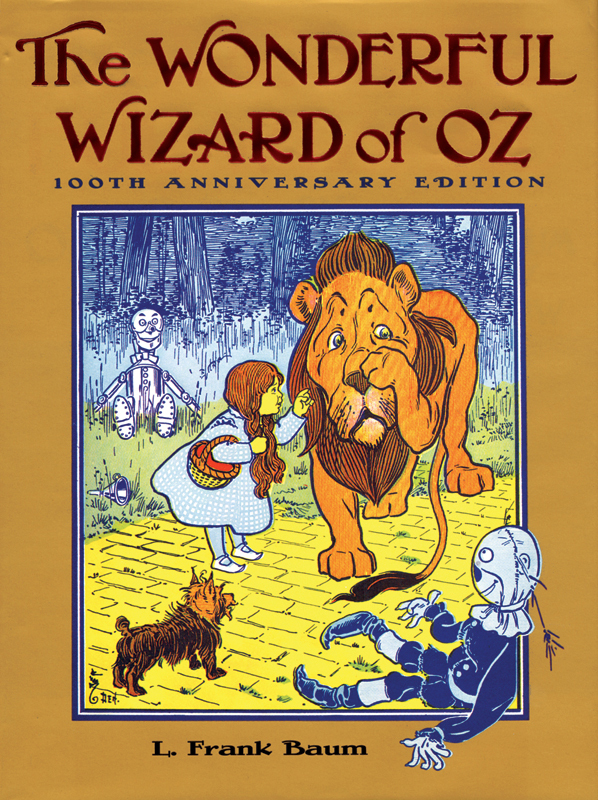 Although L. Frank Baum writes in his preface that The Wonderful Wizard of Oz is meant to be a modern fairy tale without a clear moral, throughout the story I was constantly looking for a message. Clearly, I am not the only one.